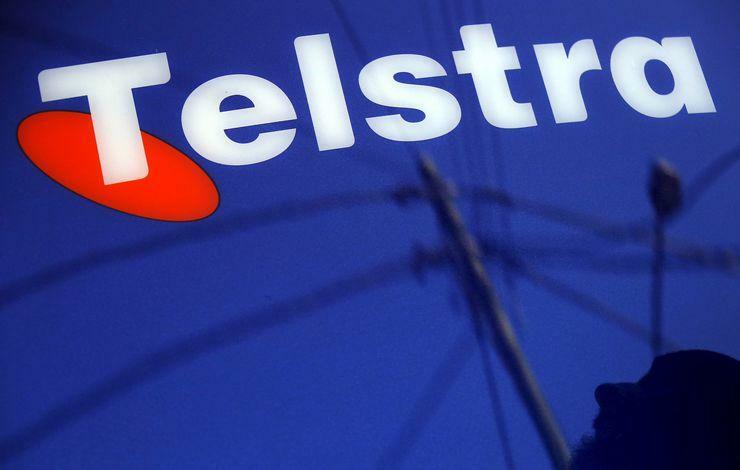 About 42,000 Telstra and Belong National Broadband Network (NBN) customers will be receiving compensation after the telco admitted to misleading customers with its maximum speed claims. Between September 2015 and November 2017, Telstra offered NBN services through both its Telstra and Belong brands, advertising a range of differing speed plans involving ‘Super Fast Speed Boost’ which advertised maximum download speeds of up to 100 Mbps and maximum upload speeds of up to 40 Mbps. The Australian Competition and Consumer Commission's (ACCC) investigation commenced when Telstra notified the consumer watchdog that approximately 9000 of its customers on 100/40 Mbps and 50/20 Mbps plans could not receive speeds above the next lower speed plan. But the consumer watchdog's investigation subsequently revealed a larger pool of customers were impacted when these maximum speeds could not be achieved in real-world conditions due to limitations on affected customer’s NBN fibre-to-the-node (FttN) and fibre-to-the-building (FttB) internet connections. As a result, the ACCC accepted an undertaking from Telstra where it said it would provide affected customers with either a refund, the option to change speed plans or exit from contracts without paying a fee. “Our investigation revealed many of Telstra’s FttN and FttB customers could not receive the maximum speed of their plan. Even worse, many of these customers could not receive the maximum speed of a lower-speed plan,” ACCC chairman, Rod Sims, said. The telco has admitted this conduct was likely to have contravened Australian Consumer Law by engaging in misleading or deceptive conduct and making false or misleading representations. The ACCC’s investigation found that this impacted a number customers with different tiered speed plans including 26,497 of FttN customers on the 100/40 Mbps plan could not receive 100/40 Mbps, roughly 56 per cent of FttN customers, and of those customers, 9606 could not receive 50/20 Mbps, which was the next speed tier plan down. In addition, 6352 of FttN customers on a 50/20 Mbps plan could not receive that speed and it was the same case for 9342 of FttN customers on a 25/5 Mbps plan. “Telstra has undertaken that, where it advertises or otherwise represents to potential customers that they will receive a particular speed, it will, within four weeks of connecting a new service, check each customer’s attainable speed. If it is below the advertised speed, Telstra will notify the customer and offer remedies,” Sims said. Telstra revealed that it has been using robotic testers in its network for the last 18 months to ensure it is buying the right amount of connectivity virtual circuit (CVC) from nbn co to deliver the appropriate speeds to customers. “As it is not possible to accurately determine what speed the nbn can deliver to a customer prior to connection, we have been reviewing the speeds of customers who take up a speed boost on their FttN or FttB nbn services after connection," Telstra consumer and small business group executive, Vicki Brady, said. "We have been undertaking this review since May 2017 and, where we identify they cannot attain the benefit of the speed boost, we have been contacting them to provide refunds. “We also give these customers the option to move to a different speed tier, or to cancel their contract altogether,” she said. As a result, Brady said it has changed its advertising, marketing and sales processes. "We now use the standard ACCC naming convention to describe our speed plans and quote the typical speeds a customer can expect, including for the period when most people tend to use the internet," she said. In July, the ACCC said it was conducting an industry-wide investigation against telcos that are found to have misled consumers over broadband speed claims. Sims stipulated that this was not just a Telstra problem, but an industry problem where consumers are often not getting the speeds they are paying for. The ACCC was keen to separate the two issues affecting customers - firstly where the connection is not capable of delivering the speed that has been sold; and the other being where speeds can technically be delivered, but the internet service provider has not purchased enough capacity from NBN Co to provide the speeds it is advertising to customers, particularly at peak times. “We will continue to investigate other retail service providers selling broadband plans over the NBN and take enforcement action where appropriate," he said. "As we’ve said previously, we expect RSPs to provide consumers with accurate information up front about the internet speeds they can expect to receive, and then deliver on those promises.